We have spent the last few weeks moving to a new house in downtown Nashville. Every time we move, I say “we are never moving again”, until I eventually forget the sweat and tears and we end up moving again. 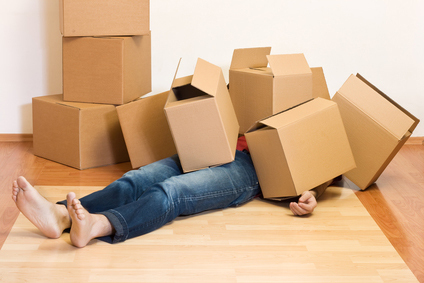 One of the most difficult parts about moving is the unfamiliarity with everything new. Silverware is in a different drawer. Laundry is on a different floor. The TV is at a different angle. The drive to work is slightly different. I normally love the idea of new things…until everything is new. Familiar is comfort. Routines are predictable. It doesn’t feel like home until I can get from my bed to work without even thinking about what is next. I think we lose sight of how this affects people at our churches when we ask them to give up everything that is familiar so that they can fit into our system of discipleship. Instead of leaning into their existing relationships and routines, we require that they step out of those into what we can control. That is why I love the host groups concept that simply asks people to add spiritual growth to the relationships and activities that they already have. Allow us to resource what you are already doing. Instead of forcing people into our routines, let’s add God into theirs.